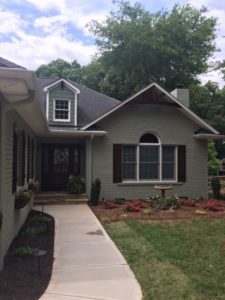 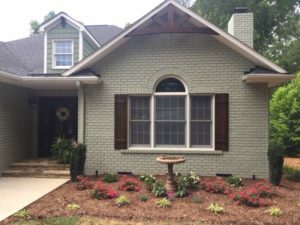 This Cornelius ranch home at Lake Norman was ready for an exterior renovation! 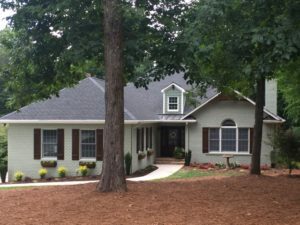 We worked closely with the homeowners on design to completely change the look of this home. 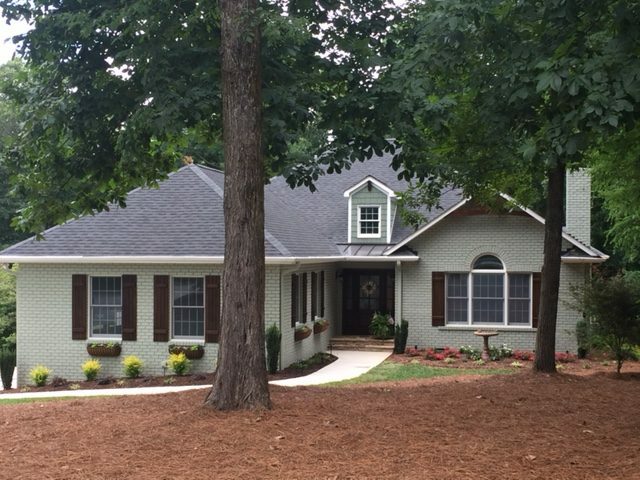 We re-faced the exterior brick to grey, added custom gable arches and stained board and batten shutters. 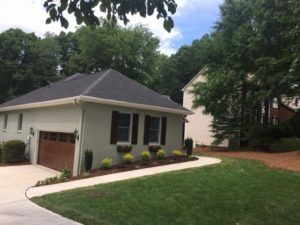 The mahogany stained Amarr Garage Doors and professional landscaping provides just the right touch. 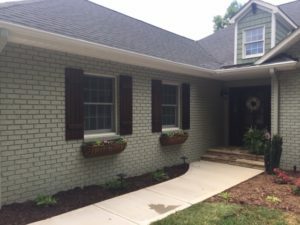 The homeowners are thrilled with their home improvement results! 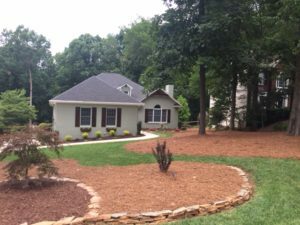 For a quote call 704-201-1429 or email us.